Looking at the overall construction of the case, one can't help to be impressed. 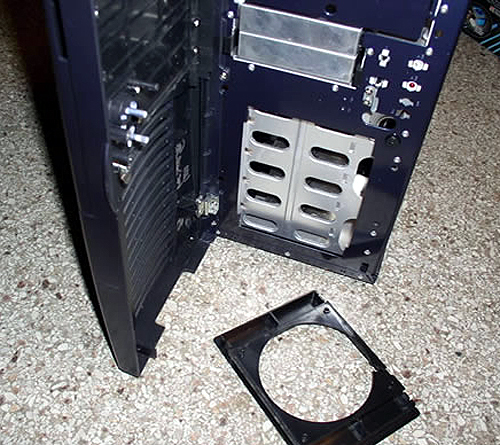 In the above photo, note the card slot portion of the case riveted into place. 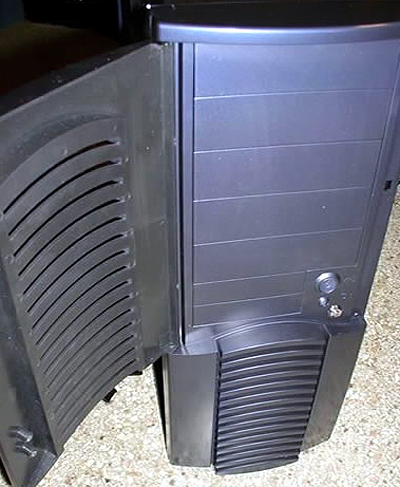 And note the 90 degree gusset holding the back and the bottom of the case sturdily in place. 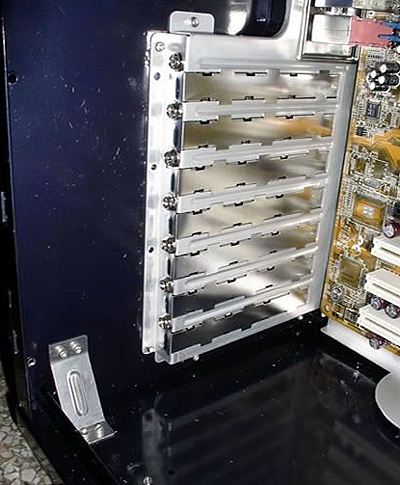 ...And this exposes all of our drive bays and front fan mount. The bracket for the front fan snaps right off allowing you to install a 120MM intake fan. 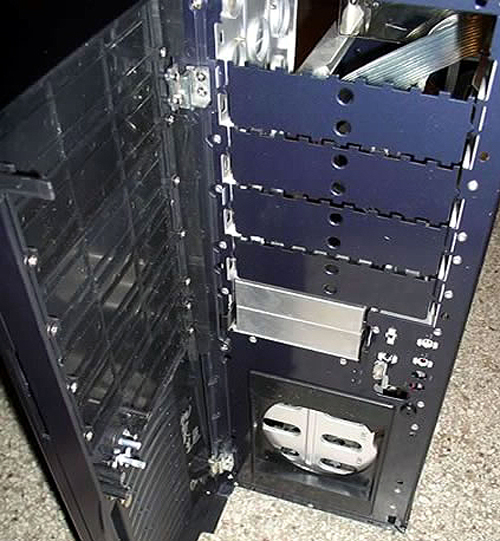 And the entire 3.5" external drive bay slides right out so you can mount your LS120, floppy, USB hub, etc.